So now that you know you need a point of sale system for your store. How do you go about choosing the right system? Point Of Sale – The ability to ring up sales quickly. Customer Tracking – Store information on your customers, this includes purchase history, service history and layways/special order tracking. Inventory Control – Should include serial number tracking for bikes, purchase orders, transfers if you have multiple locations, and a way to periodically reconcile your inventory. Service Module – Automate and streamline your service department. Layaways & Special Orders – No more post-it notes for keeping track of layaways and special orders. Reports – You need to be able to quickly find out how your business is doing. 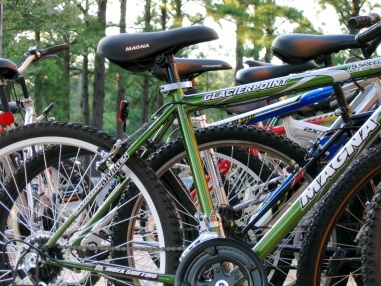 QuickBooks Integration – Most bike shops use QuickBooks for accounting. You’ll want a system that integrates. Vendor integration and preloaded catalogs. For bike shops this is a must-have-feature these days. This will save you time when you’re creating purchase orders and entering inventory because you won’t have to type in all the information, just scan a barcode or type a part number. Cost – What Can You Afford? What Will It Cost? The Software – Expect to pay anywhere between $800 and $3,000 for your software license. If you choose a software-as-service system this should be more in the range of $50 to $300 per month. Support Contract – Your software may or may not include support in the licensing fee. You’ll probably want phone support for at least the first few months. Hardware: Barcode Scanner, Receipt Printer, Label Printer, Credit Card Reader or Terminal, and of course a computer. Your POS specific peripherals should be in the $800 to $2,000 range per checkout lane. Watch out for hidden fees. You may have to pay an annual upgrade fee to keep your software current. If you’re running a desktop POS system you’ll need to worry about backups. If you have multiple stores and running a system in-house you’ll need to network your stores. You may also need an internet connection if you don’t already have one. Of course you’ll need to be able to accept credit cards. This means signing up for a Merchant Account, setting up a gateway, and integrating your gateway with your POS software/system. Important: Choose you’re software first. Then choose a credit card processing solution that seamlessly integrates. Ask your software vendor what you’ll need. Search the web, call other shops, visit POS vendors at Interbike. Put together a list of your top 3 picks to demo. Never buy a point of sale system without physically trying it out for yourself first. If it isn’t easy to use you aren’t going to use it. So take the time to do demos. Justin Laing is an executive at LightSpeed Retail, the leading provider of web based point of sale and inventory control software to bike shops across the United States and Canada. What is Point of Sale (What is POS)?